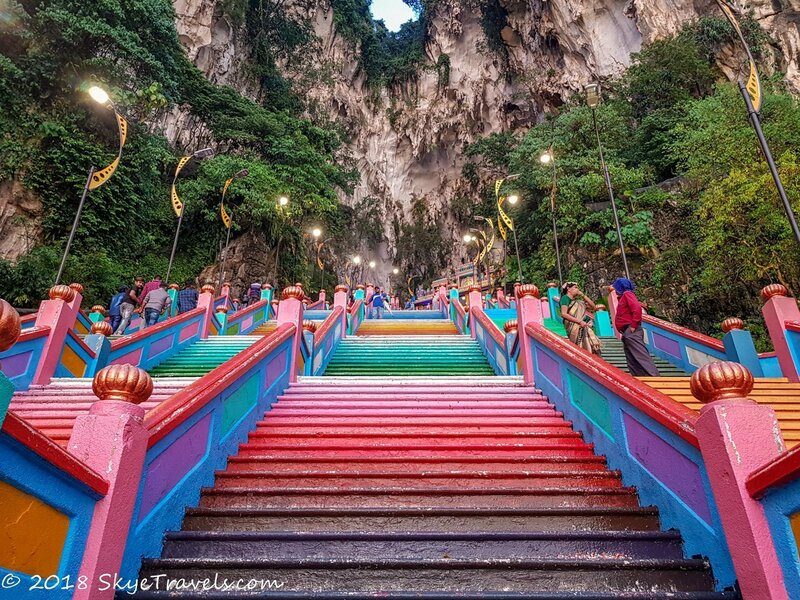 The Batu Caves in Kuala Lumpur, Malasia are the most popular Hindu shrines outside of India. They have a level of beauty and wonder on par with Pandora from Avatar, and the macaque monkey population makes the experience truly memorable. Kuala Lumpur’s key attractions are centered in the downtown area. The Petronas Twin Towers and the KL Tower are easily the most known. Chinatown and Little India are very popular streets to explore. The botanic gardens and animal sanctuaries draw thousands of visitors daily. 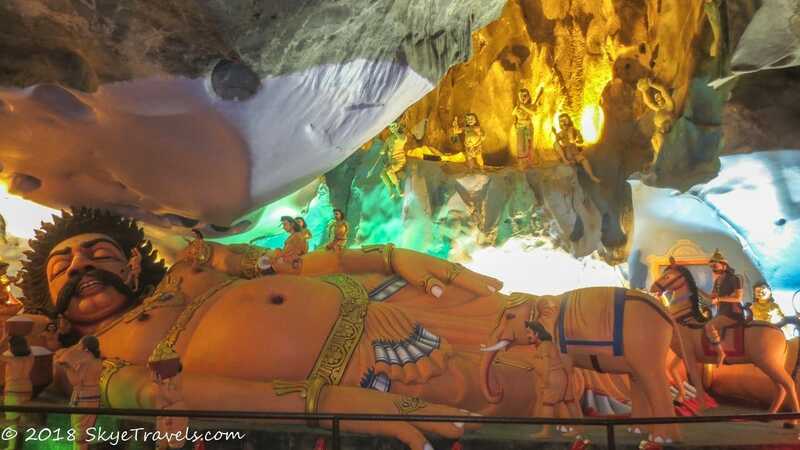 But the Batu Caves, less than 10 miles north of town, have their own special quality unique from anything else I saw in my first year of travel. The caves are located at the end of the KLM Komuter train line (the one that says Batu Caves). From the Kuala Lumpur station or the Bank Negara station near the center of town, the fare is only about 2.5 Malaysian ringgits ($0.60) and takes 20-30 minutes. This is by far the easiest way to get the caves, and the KLM Komuter Line is easily reached by any of the other forms of public transportation throughout Kuala Lumpur. 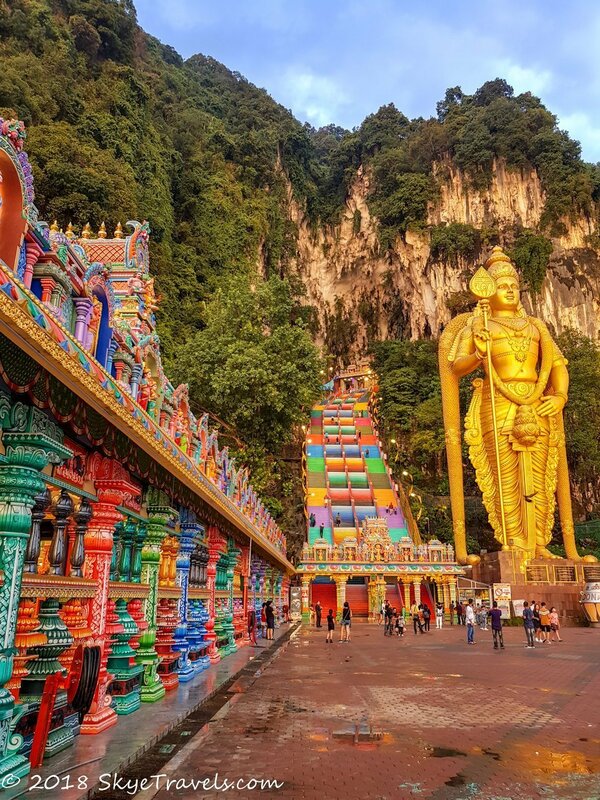 For far more money, you can get a tour bus, taxi or Uber the whole way to the Batu Caves. 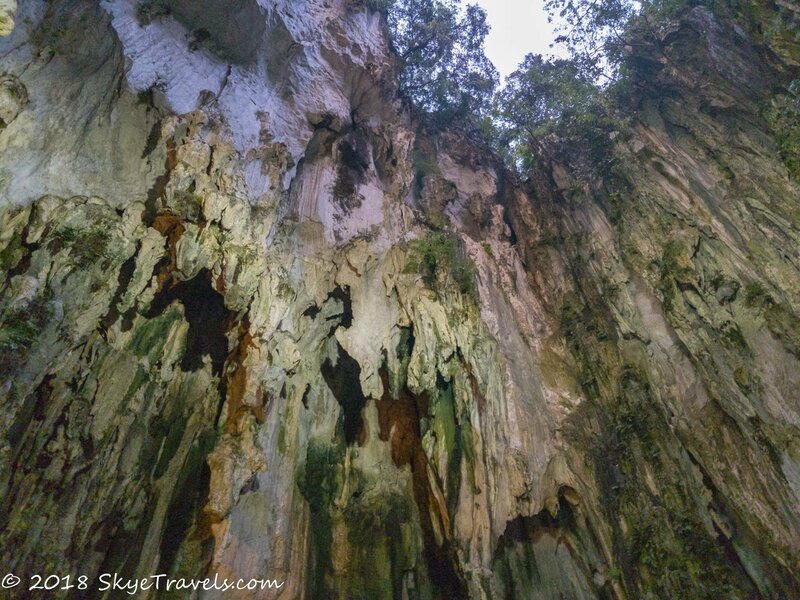 There are several caves to explore within the Batu Cave complex. The main one, known as the Temple Cave or Cathedral Cave, is located at the top of a 272-stair climb up the side of the limestone cliffs. 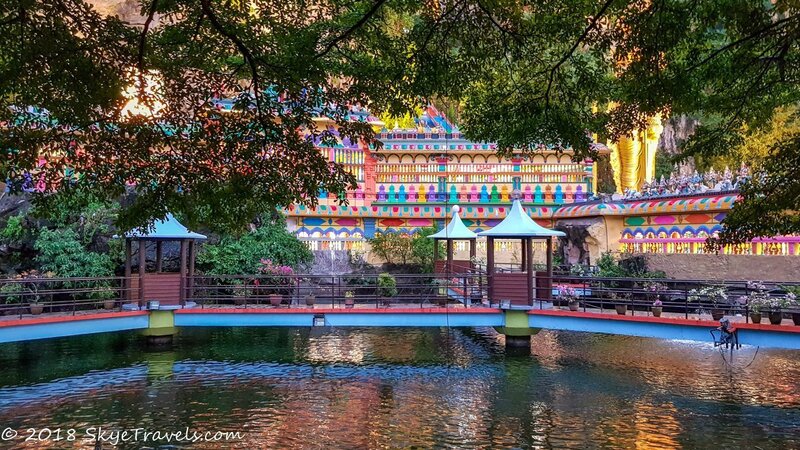 In 2018, the stairs and nearby temple walls were painted rainbow colors. The first cavern is huge, containing Hindi shrines and religious artifacts. I found the second open-air cave (also called a pit cave) breathtaking. There’s a Hindu shrine in the center, but I hardly noticed it as I was distracted by the cave walls reaching high above me and edged at the top with jungle vegetation. Talk about stepping into the land of Pandora. I had a really hard time capturing a shot, but no photo or website can substitute for the awe and majesty of standing there in person. Don’t forget, this is still a Hindu place of worship, despite the tourists. Make sure you dress appropriately; knees and shoulders must be covered. The best part is that there is no entrance fee to enter the caves, unlike some of the wildly expensive, overrated attractions in Kuala Lumpur. Unfortunately, it seems that the caves are a thing of the past…at least at the moment. I arrived at the caves around sunset (7 p.m.) and found the entrance to the Dark Cave closed. I didn’t think anything of it, but later I went to their website and found that as of January 2019, they are no longer offering tours. I really should have done it the first time, especially since the ticket was only $8.75. At the bottom of the stairs are the Art Gallery and Museum Caves. These are simply museums of artwork, reptiles and some Oriental wisdom. I didn’t visit them myself, but it’s not that expensive if museums are your thing. The entrance fee is 15 MR ($3.75). Finally, there is the Ramayana Cave behind the train station and far to the left of the main caves. I think this is the cave that Disneyland tries to make the It’s a Small World attraction look like, except that the figurines depict the history of the Vishnu avatar, Rama. The caves themselves are worth exploring. They are not as impressive as the Pandora-esque Cathedral cave and they have no open-air chambers, but there are interesting formations. I’d say they’re worth the visit, even with the 5 MR ($1.25) fee collected by a really sketchy local sitting in his tiny hut at the entrance. 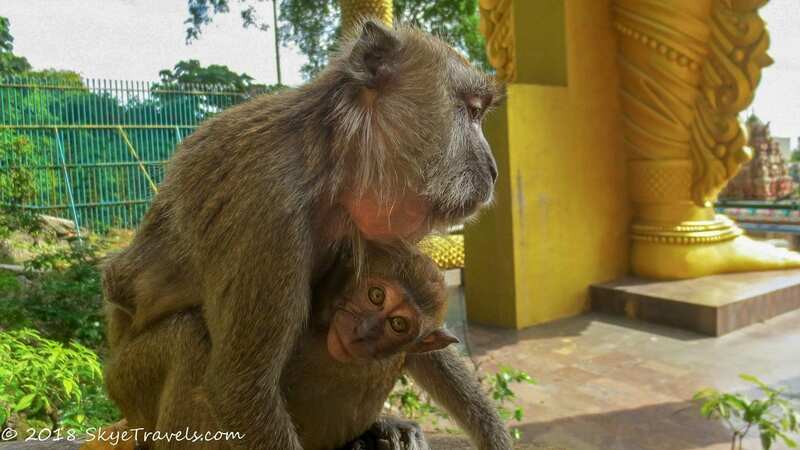 As spectacular as the Batu Caves and cliffs are, what made the experience truly memorable for me were the Macaques. These old-world monkeys abound on the steps leading up to the temple and throughout the grounds. They literally bound across the heads of tourists and will abscond (leave hurriedly) with your food or other possessions if you’re not careful. The cutest ones are the babies holding tight to their mother’s stomachs as the mommy climbed and jumped around. The monkeys make faces at the tourists or even jump onto the tourists to steal their drinks (as happened to my friend). 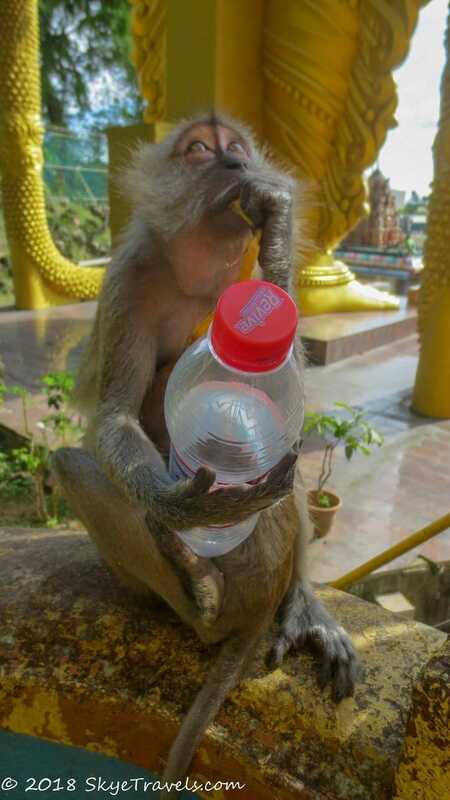 I watched one monkey grab a water bottle out of a tourist’s hand, and another had already poached a full VitaWater bottle and was climbing along a fence to get away. Despite their antics and peskiness, they still are adorable, especially when shoving their head into an open coconut to have a refreshing afternoon snack or trying to open a trash can. For some reason, the monkeys didn’t appear on my second visit to the caves. I did arrive at the tail end of a thunderstorm, so perhaps they were still in their caves staying dry. Whatever the reason, I was carrying my tripod and glad of the knowledge that some little critter wouldn’t be trying to wrest it out of my grip while hissing at me. 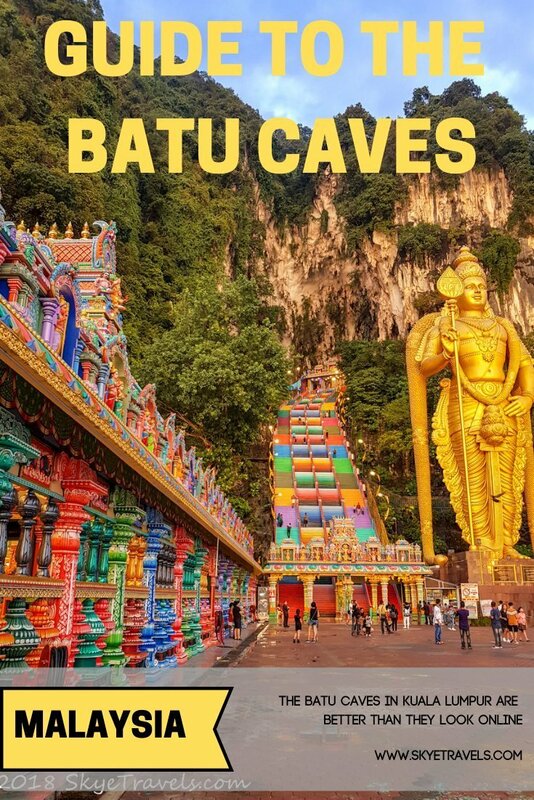 The Batu Caves are an attraction I would definitely recommend for Kuala Lumpur, as soon as you’ve seen the Petronas Twin Towers. They are a unique experience, which is more than I can say about the botanical gardens or Chinatown. The whole adventure shouldn’t take more than a couple hours. Make sure you bring comfortable shoes for the stairs and a bottle of water, or perhaps two in case the monkeys run off with one. 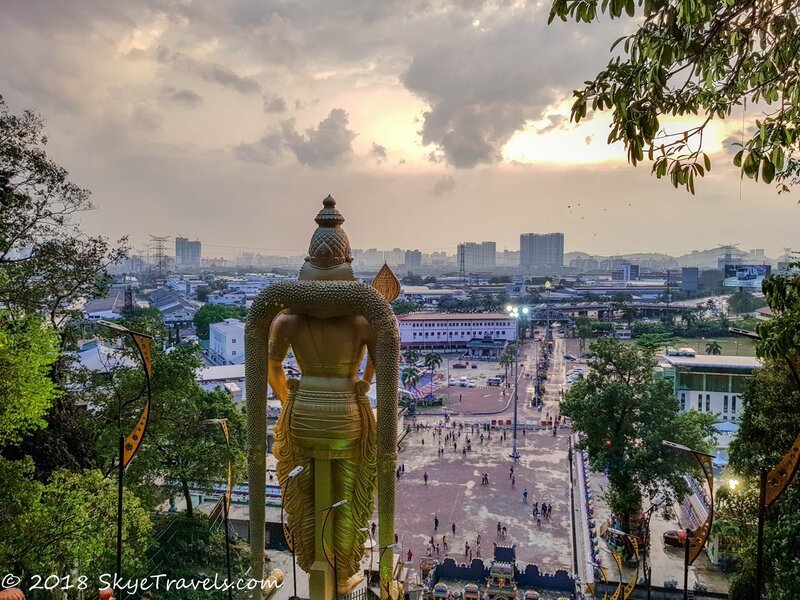 Planning a visit to Malaysia? Here are some other articles you might like to help you with your travels.